Attached are photos from Thursday at low tide showing the new establishment of Spartina alterniflora on the Saw Mill Creek WMA mudflat. 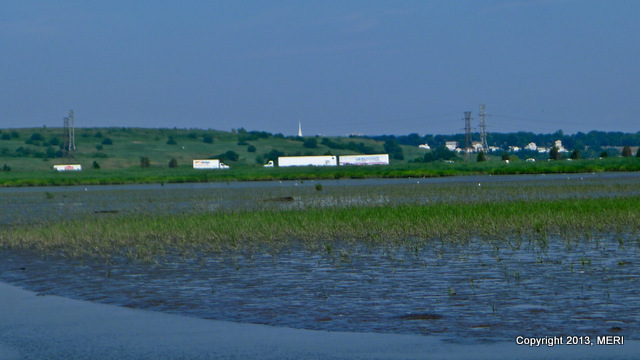 This mudflat has been without vegetation since I have known it (1997). 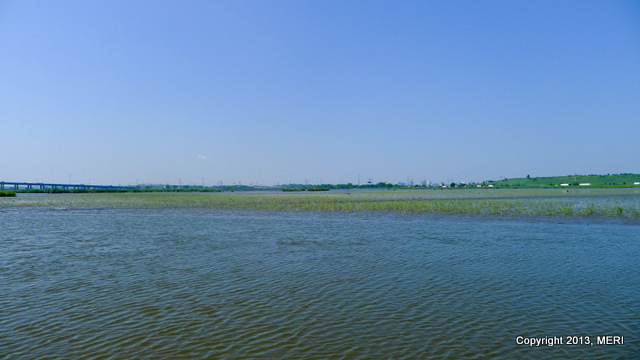 It seems that Sandy changed the elevation, which is allowing a healthy establishment of Spartina. 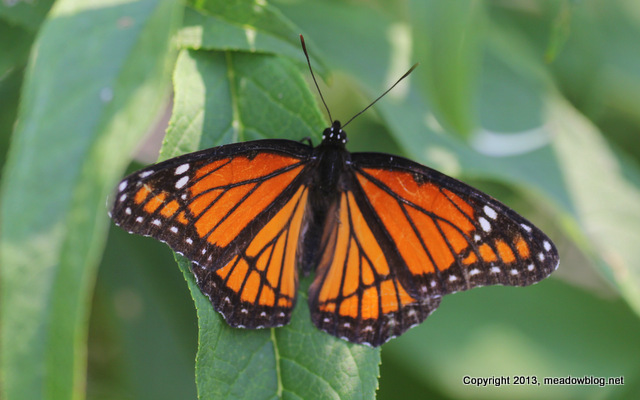 Butterflies are abounding at DeKorte Park these days. Joey the Hornworm was relocated to a terrarium yesterday after he showed signs of pupating (including stopping eating and trying to dig). 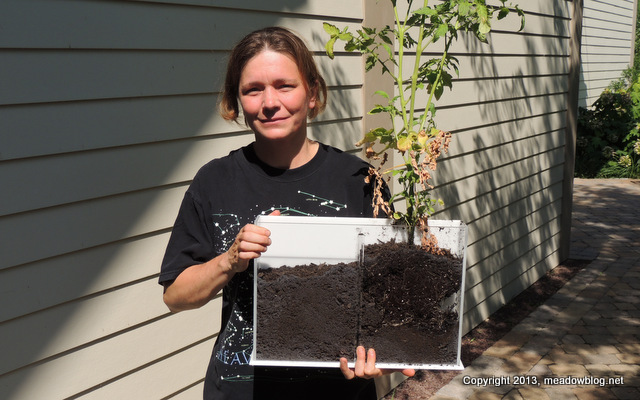 As soon as he went into the terrarium (right, held by the MEC’s Sue Lewicki, who has been tending to Joey’s well-being), he went underground. We think he is making himself a sleeping bag to pupate in. If all goes well, he could emerge as a Tobacco Hawkmoth in three weeks. 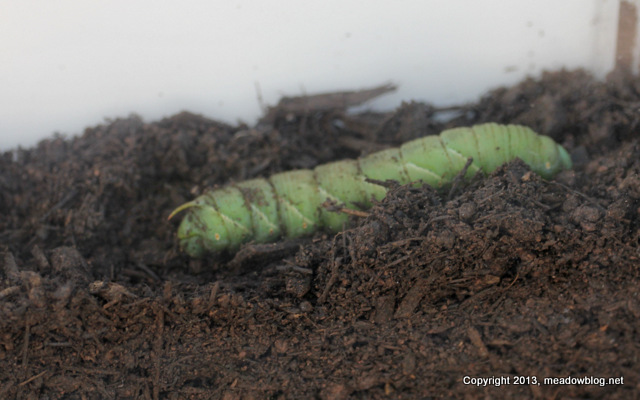 More on Tobacco Hornworms here.